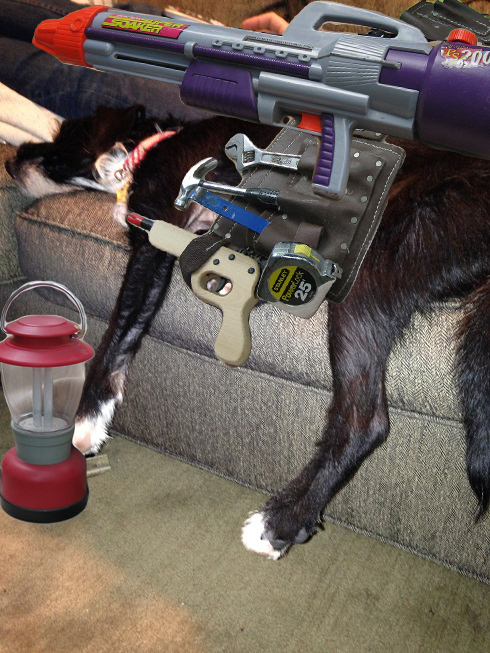 However, the term “working dog” is misleading. It describes a show dog bred for a particular appearance, but also any canine that performs specific tasks and belongs to a powerful, politically connected union, such as the Amalgamated Bra and Sock Chewers International. Energetic, intelligent, purpose-driven, working dogs are revered by owners, yet despised by other breeds who jealously gossip about them during study hall instead of doing their Spanish. Working dogs are the prom kings of the Canine species in much the way prom kings are the prom kings of the human species, if that makes sense. And there’s no reason it should. Working dogs cannot help but achieve. Hardwired into their genetic code are powerful instincts to herd, retrieve, guard, telemarket, and properly fill out loan applications. Setting the bar high for working dogs is Piper, the border collie who protects a Michigan airport by chasing birds off runways. Piper’s devotion to duty and heroic stature have made him a media sensation despite his unwillingness to endorse a presidential candidate. 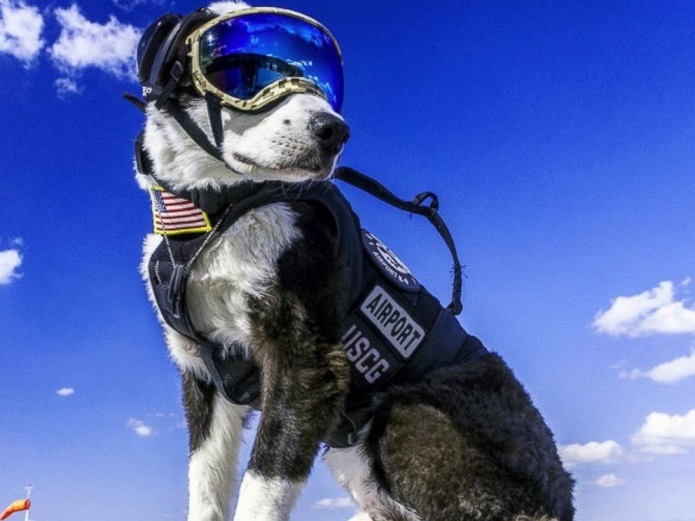 Although a working dog and natural herder, Piper required specialized training to clear runways, as well as eye goggles, ear protectors, and an American flag-emblazoned body harness that make him eligible for membership in The Avengers. While not all canines are working dogs like Piper, every dog needs a job to stimulate the mind, keep trim and healthy, and hold economic stagnation in check. Equipped with atomic bazooka, multiple tools, surveying gear, and a water bottle, Budleigh is prepared to tackle every job, provided he doesn’t have to wake up. Killing flies is a big deal in our house, and not because we’re filthy. Our formerly alive terrier, Oxford, was terrified of flies. Spotting one buzzing on a window, he’d flee upstairs and hide under the bed linens until the first killing frost. When Budleigh first encountered a fly on the window he tracked it, eyes huge, until I swatted it and missed. Then he exploded in a predatory frenzy, banging at the glass, snapping the air, and glaring at me. The self-appointed job of Brisby, Nature’s Perfect Schnoodle, is to police Budleigh’s predatory frenzies. He enters the scene with all the authority and swagger of John Cleese as the Monty Python police constable. Fly circles Brisby head, lands on his snout. Laughed out loud through the whole piece. Great, witty, insightful, and totally groovy article.